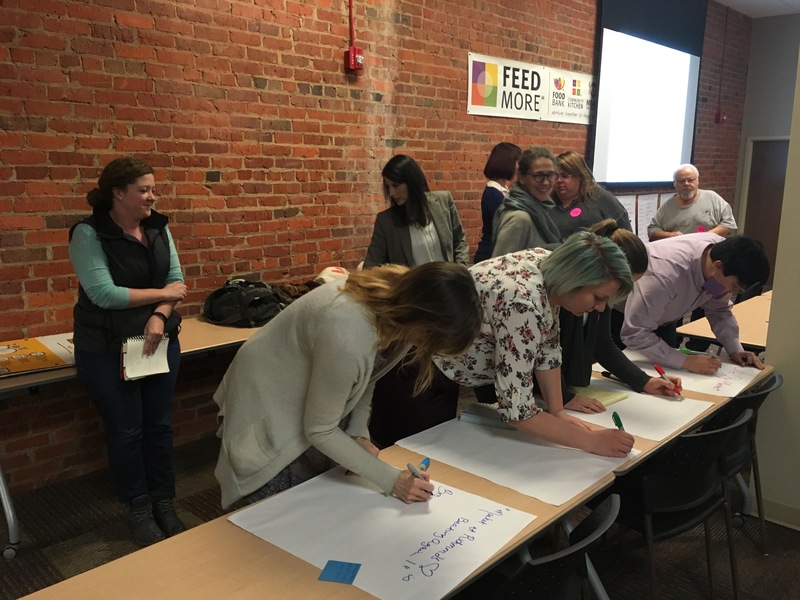 Richmond, VA – March 30, 2017 – Being a farmers market manager means wearing a lot of hats. One day you’re recruiting and vetting vendors. The next you’re writing newsletters and blog posts to promote your market. The following day you may be booking musicians and planning children’s activities. All the while, you field calls about food safety, SNAP benefits and booth fees. And that is all before market day arrives. New market managers quite understandably often feel overwhelmed, especially since they are typically working on their own. 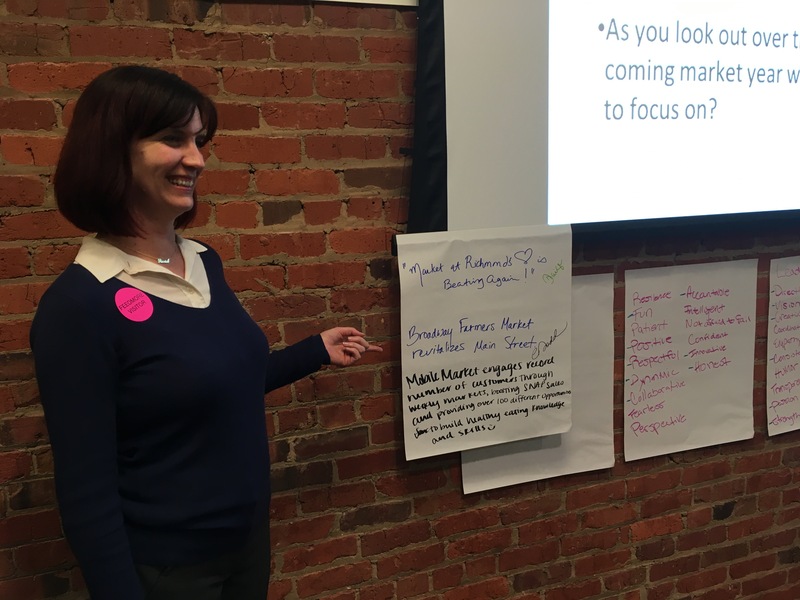 Recognizing this, the Virginia Farmers Market Association (VAFMA) and Virginia Cooperative Extension (VCE) launched a training program for the state’s 220 market managers. The Market Manager Certification Program, sponsored in part by Virginia Grown, is the first of its kind in Virginia. It is a 16-week interactive program that addresses real-world farmers market issues. 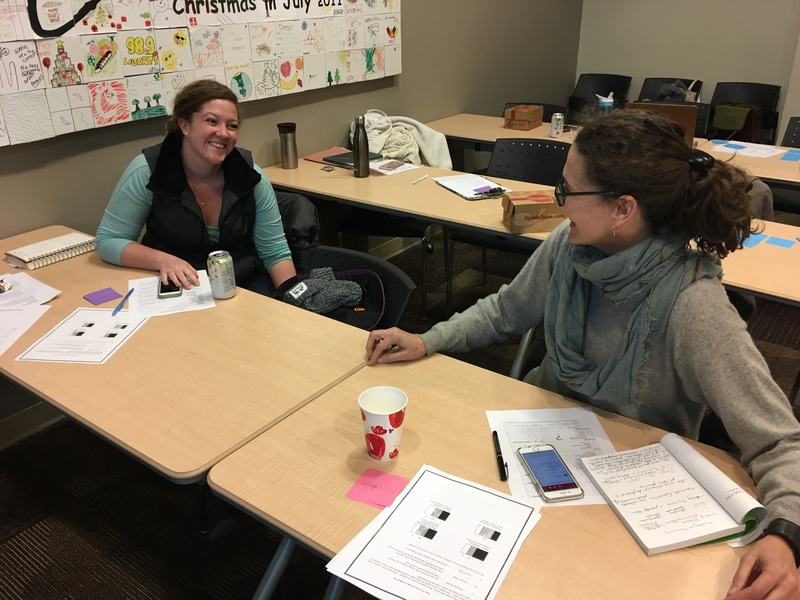 Through a combination of in-person workshops and online webinars, participants learn tactics for creating markets that are not only profitable for farmers but that also welcome customers with vibrant shopping experiences. Because it is a pilot program, organizers capped enrollment to 14 students. The spots filled up quickly and a waiting list formed for the session that began February 10th and runs through June 2, 2017. VCE Instructor and VAFMA board member Meredith Ledlie Johnson said “we’re very excited that all the planning that went into it seems to have paid off and there is an incredible amount of interest in it from market managers around the state.” Participants represent 14 different localities from Tidewater, the Highlands, Southwest Virginia, the Shenandoah region and the Capital area. 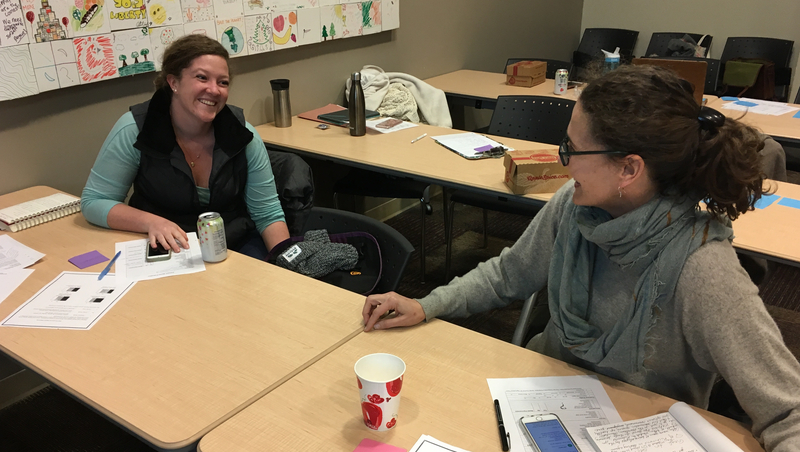 Graduates of the program earn the title of Certified Market Manager and will be prepared to manage the complex and diverse challenges of farmers markets.